Age 83 of Portsmouth, went to be with the Lord on Monday, January 14, 2019 at SOMC Hospice in Portsmouth. She was born December 25, 1935 in Morgan County, Kentucky to Avery and Pearl (Fyffe) Caskey. Betty loved sewing, quilting, cooking, gardening, and reading. She worked various jobs, eventually retiring after 10 years as Manager at the American Legion in Portsmouth. 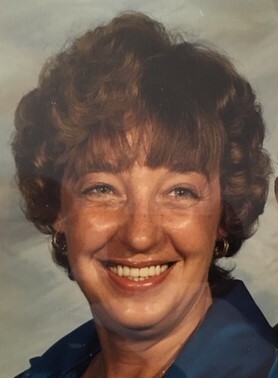 She is survived by two daughters, Carla Nelson-White (Mike Selby) of Portsmouth, Eva (Boyd, Jr.) Davenport of Harleysville, PA; one son, Johnnie (Cherie) Nelson of Hollywood, MD; four grandchildren, Boyd Davenport, III, Wendy Davenport, Amy Payne, and Paige Nelson; four great-grandchildren; one brother, Charles (Paulette) Caskey of Flemingsburg, KY; several nieces and nephews. In addition to her parents, she was preceded in death by her husband, Johnnie, in 2012 and a brother, Jack Caskey. Funeral services will be 11:00 a.m. Thursday, January 17, 2019 at D.W. SWICK-NELSON FUNERAL HOME in New Boston with Pastor Bernard Tilley officiating. Interment will follow at Siloam Cemetery in South Shore, KY. Friends may call Thursday from 10 – 11:00 a.m. at the funeral home. Fond memories and expressions of condolence may be shared at www.DWSwickNelsonFuneralHome.com.